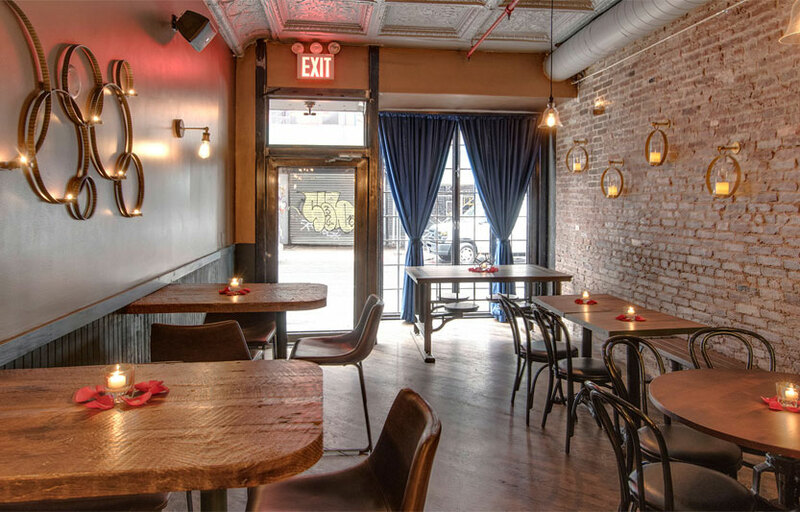 Delilah is located in the heart of the Lower East Side where St. Jerome’s once resided, which was a favorite haunt of Lady Gaga’s. Large French glass doors with an over sized communal table behind it will show you that you have arrived at Delilah. 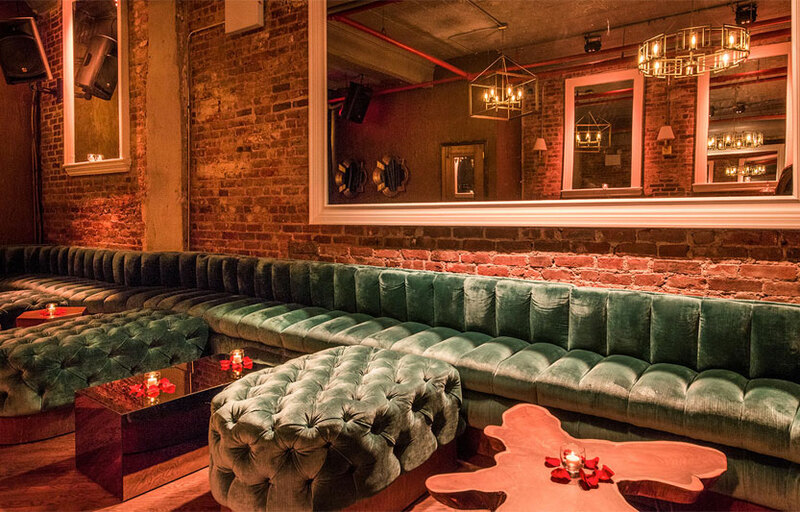 Petroleum blue plush velvet banquettes with candles above will line the lounge’s exposed brick walls. Each of the dining room’s tables lower after dark to transform the room seamlessly into a lounge as day turns into night. 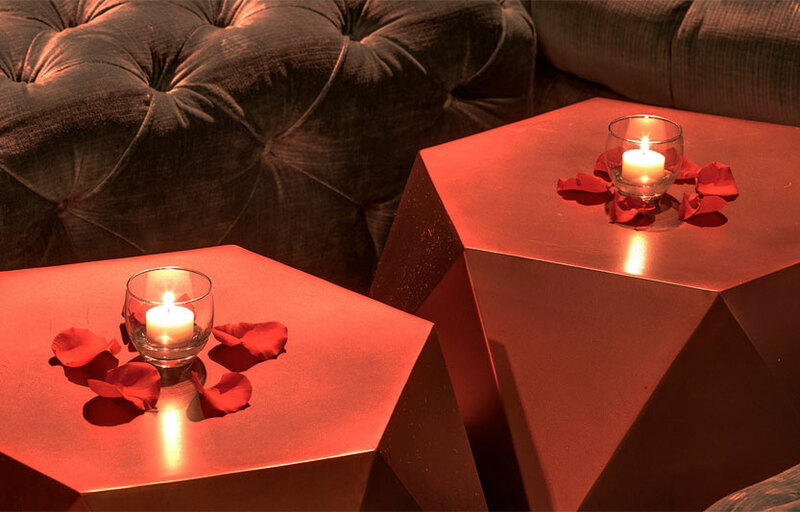 The front bar, made of reclaimed wood, has copper accents throughout complemented by matching copper stools. 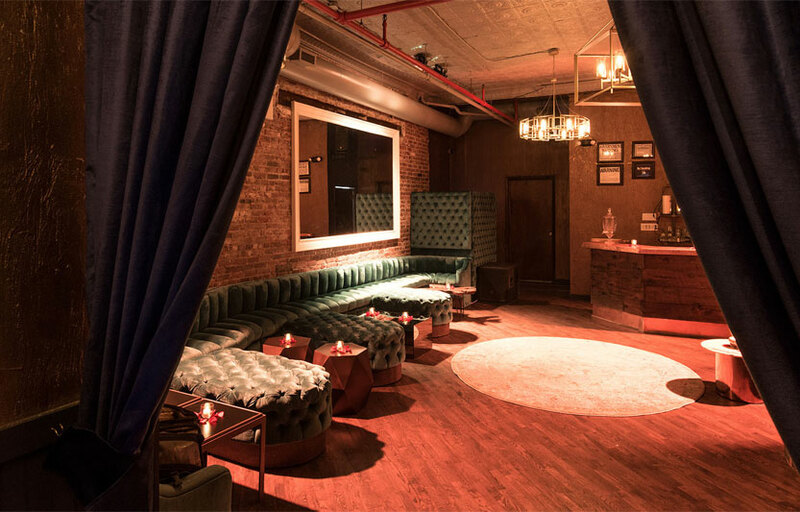 Behind a velvet curtain, guests can let loose by Delilah’s DJ booth and back bar. Executive Chef Kevin O’Connell (Veranda, Pop Burger) created the dinner menu at Delilah, which includes Mediterranean small plates such as Filet Mignon & Grilled Chicken Skewers, Flatbreads, Charcuterie Boards, Spicy Lamb Sliders, Grilled Octopus Salad, and Lobster Pita Crisps just to name a few. Renowned mixologist Rael Petit (Mulberry Project, Loft 45) created Delilah’s signature cocktails. Guests can drink classic cocktails or signatures exclusive to Delilah. Large format cocktail punch bowls are also available. Delilah is a restaurant/lounge hybrid. There are craft large format cocktails for larger groups. Delilah is located between Clinton St & Suffolk St in Lower East Side. How much is cover charge at Delilah? Delilah charges a cover depending on the day of the week. How long will I have to wait at Delilah? Delilah is open on Tuesdays through Sundays. 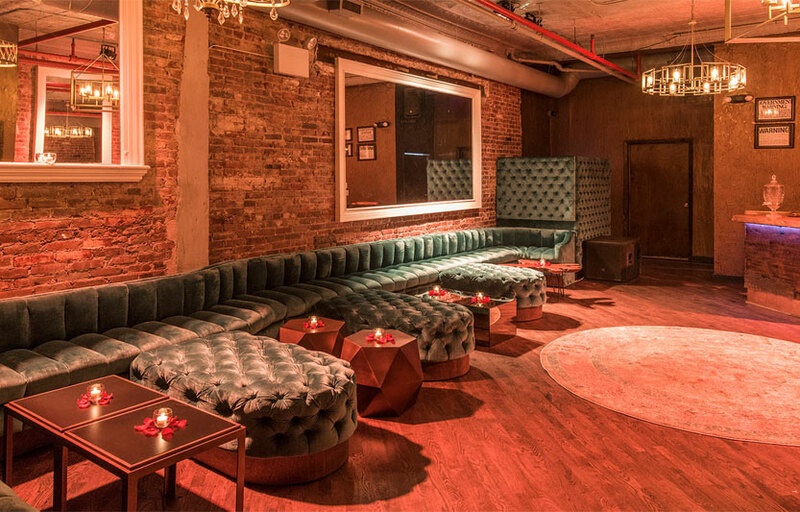 What are the best nights to go to Delilah? What is the dress code at Delilah? How much do drinks cost at Delilah? Expect to pay $15-20 for cocktails. Bottles start at $300. What kind of music do they play at Delilah? Delilah features mostly top 40, with a mix of EDM. Where can I find an list of upcoming events / DJs at Delilah? You can download the Discotech app to see upcoming events, and book tables for Delilah.